Sorting GP Issues Are Fine. What About The Long Term? Sorting Out GP Issues Now Is Fine, What About The Long Term? Whilst finding a way to manage GP issues for tomorrow is important, addressing the property needs of a surgery has to be part of the same conversation. Within a local level, in Dorset, a number of surgeries have taken the decision to merge to deal with staff shortages and reducing costs. This includes a surgery from our Development and Investment partners Charles Higgins Partnership where Shelley Manor Medical Centre has recently merged with the Holdenhurst Road surgery in nearby Springbourne. No one wants to see branches shut, patients looking to re-register elsewhere or the teams working within surgeries losing jobs. Whilst mergers and keeping surgeries open for longer, seem to be popular topics at the moment, how are the property needs of a surgery being addressed? Having someone who is precise with figures, business matters and financial targets is important, but the actual property is another field that is specialised and needs to be addressed. Whether surgeries merge or access to the service becomes longer, this will put a strain on a physical space with more people utilising it. During the last national census (2011), Bournemouth saw the biggest population increase within Dorset with a 12.2% rise. It also has the county’s biggest population with 183,500 residents, the most densely populated town in the South West with nearly 4,000 people per square kilometre (as a comparison the average population outside of London is 371 per square kilometre). To provide for this, the surgery space has to move with the times. Are we in danger of busier surgeries becoming degraded quicker? Who needs to take responsibility? When is generational planning going to be at the centre of surgery discussion? With more questions than answers, the main focus is centred on three words, ‘are you ready?’. A commitment has to made, otherwise they become hopes and wishes. 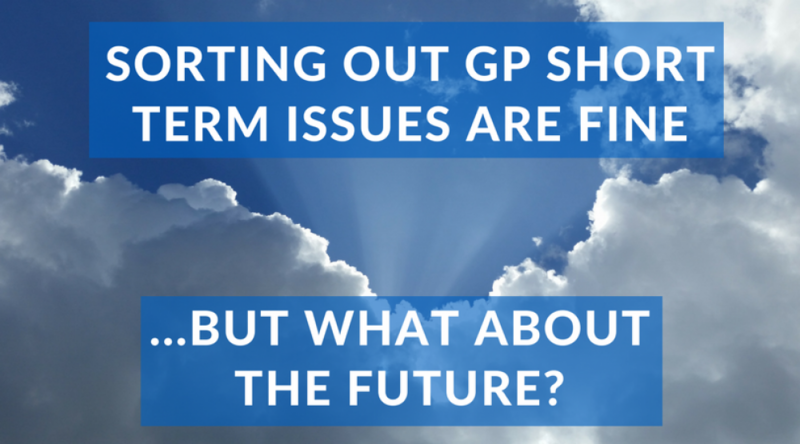 A plan has to be in place with GP property requirements surgery at its core. No one wants to miss out.